but lives life to the full! “ Mixed emotions when this book arrived from wonderful publisher Hubble and Hattie. Lost my own little blind angel Kyra a couple of years ago ... so pleased that a book such as this has been written to help anybody else in my position to understand the way forward. I write my review in Kyra’s honour. This book is invaluable, really, to anybody who feels the despair of being told their dog is going blind: she was tested and found to have PRA, and a book such as this would have been so incredibly useful at the time. Firstly the book explains what to expect once your dog is diagnosed as blind or going blind, how your dog will deal with this, how he may become fearful, depressed, dependent, etc, and how dogs deal with blindness so differently from us, using their other more important senses, without the stress we might endure. Eye tests and the many types of blindness are covered, including the breeds they are most likely to affect as well as tests and sometimes cures in some of the cases. How to cope in your home is a great chapter, how to let the dog explore safely, learn where everything is, how not to move anything in the house or garden without showing the dog, and also how other dogs in the family can in effect become the blind dogs eyes and help him around. Walking audible signs are very important, and this is covered with many helpful hints. Recall is a must and the immediate ‘down' can be a life saver, but also commands such as ‘careful’ for example when reaching steps or anything that could be a problem. ‘Slowly’ also is useful. The book explains these signs and how to train them, as well as featuring many case studies. This book would have given me so much hope if it had been around in Kyra’s time. Game playing is an excellent chapter. One thing I did learn was that Kyra still loved to play ball! I had to make sure there was no other noise, then I could throw a ball or toy on to a surface where she could hear it land. Many a time Kyra would fly off the settee at breakneck speed after a toy, and race straight up to it, using her ears and then her nose to locate it in seconds. She loved this game and would even play it with our sighted Cocker and win the race to the toy! Any game involving scent, hunting something, searching, tricks for treats, retrieving, etc, can be so rewarding for a blind dog, and also help them gain confidence in their visionless world, as well as have fun. “ I volunteered to review this book, as many years ago we had a family dog, a fox terrier, who lost her sight through diabetes and through trial and error our family managed to make life comfortable for her but there was hardly any advice or literature for us to use as a reference. 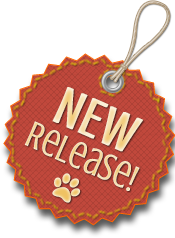 This book starts off with the introduction by Nicole of her dog Elliott, a six year old Pointer Cross, at the age of 1½ years he was diagnosed as blind. 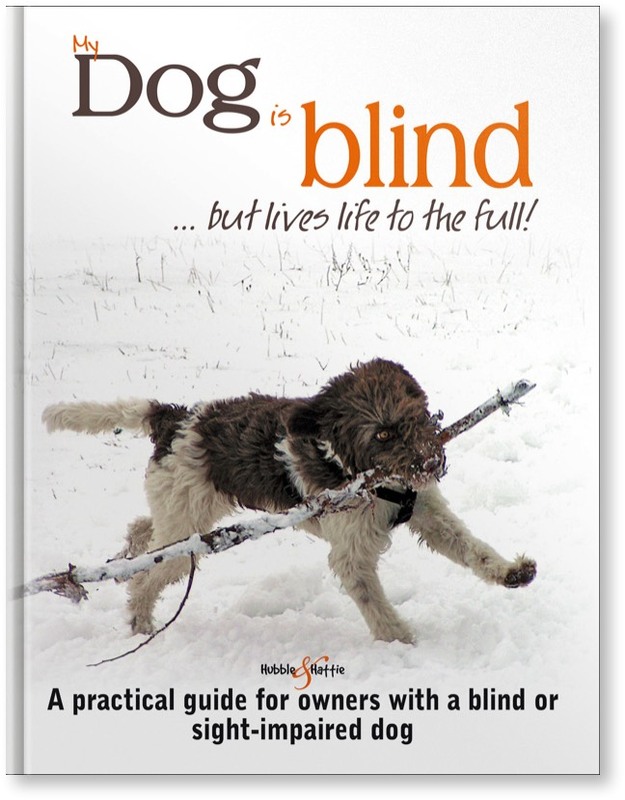 The book unfolds into the journey that a dog and owner might find themselves undertaking with this type of diagnosis, it strives to prove that blind dogs can live very well and can do most things that sighted dogs can do.